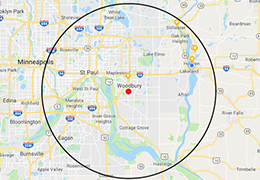 Inver Grove Heights Plumber, Plumbing Service & Repair | Edwards Plumbing, Inc.
Edwards Plumbing has been providing Inver Grove Heights with precision Plumbing Services and Repair for over 32 years. Edwards Plumbing of Inver Grove Heights has the experience and knowledge needed to handle any of your home Plumbing Services and requirements. Licensed, Bonded, Insured and recognized as Inver Grove Heights’s #1 Local Community Plumber, Edwards Plumbing is able to complete plumbing jobs quickly and efficiently, specializing in service and improving the quality of your home. Edwards Plumbing is family owned and locally operated. Edwards Plumbing always arrives on time, prepared and ready to leave your home’s plumbing concerns in better working condition than when we arrived. 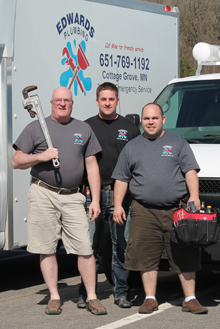 We offer a full line of Plumbing and Drain Cleaning services to our Inver Grove Heights customers. From service and installation, to repair and completion, Edwards Plumbing can do it all.